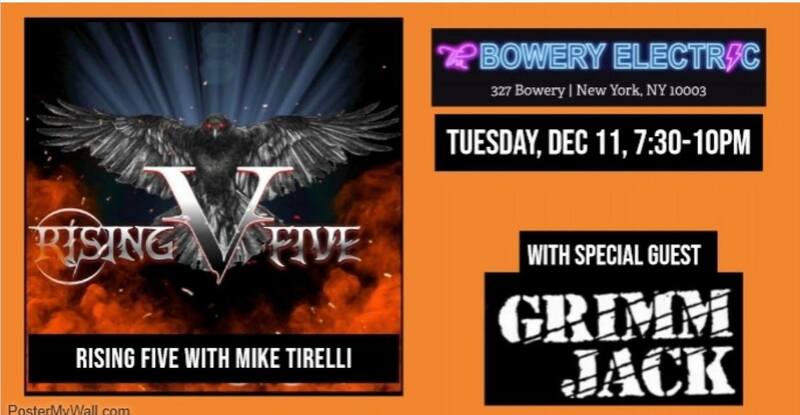 December 11th is going to be an incredible night of music at The Bowery Electric. This is a Show Case event for Rising Five and Grimm Jack has the honor of kicking off the evening. We’d love to have all our friends come down for a Rockin’ night. Get your tickets now because this is going to be Sold Out!! !